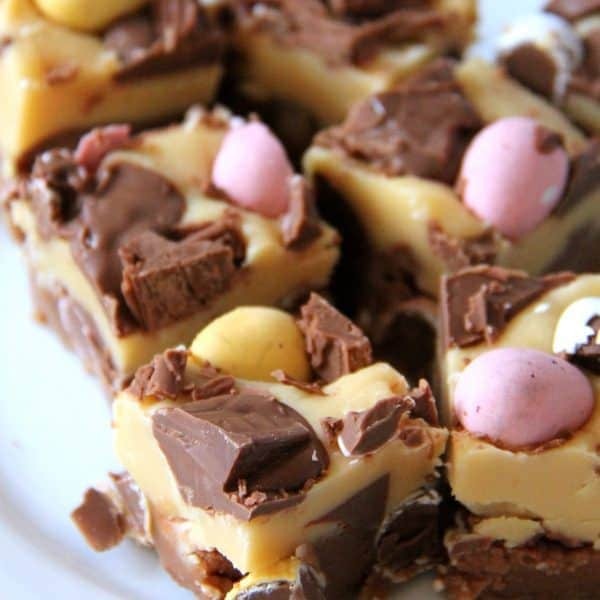 White Chocolate and Milk Chocolate Clotted Cream Fudges with all your Favourite Treats – Yummy Easter Fudge! 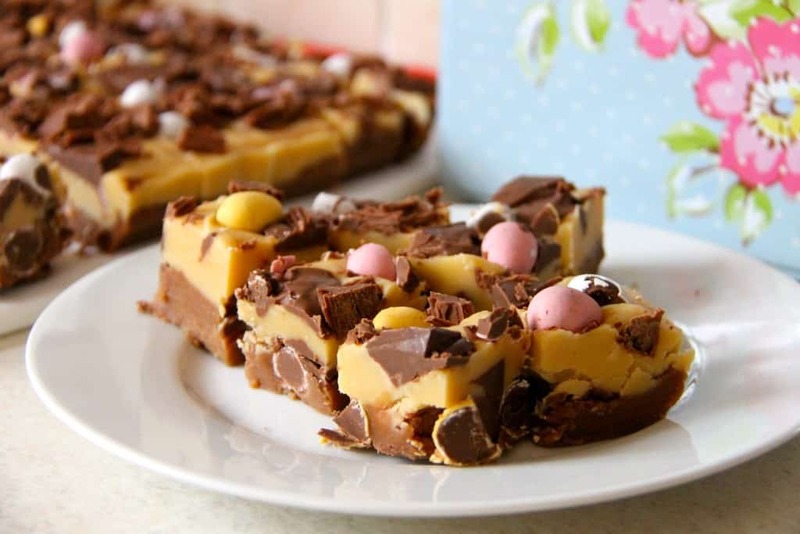 This is essentially a super Chocolatey Fudgey mashup of easter sweets or just absolutely delicious chocolates. It is addictive to say the least! 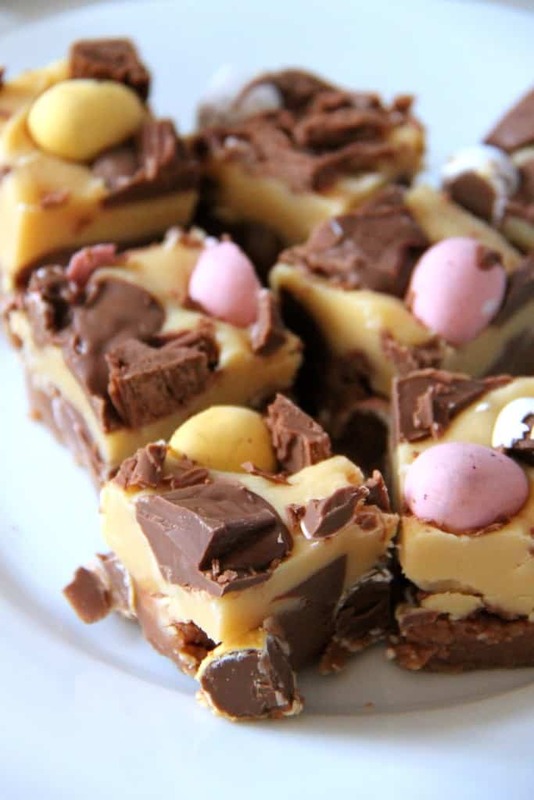 I have done many a fudge recipe now, so sorry if you’re bored of them (How dare you!) but I thought one more for a little while (this could be a lie) to set you up for Easter next weekend! This recipe is based on my original sweetie recipe on my blog -I thought that as I had demonstrated an easier fudge recipe where there is no boiling and getting to ridiculous degrees of temperature with my Triple Chocolate Cookies Fudge, I should go back to where it all started and create a mashup of them all! 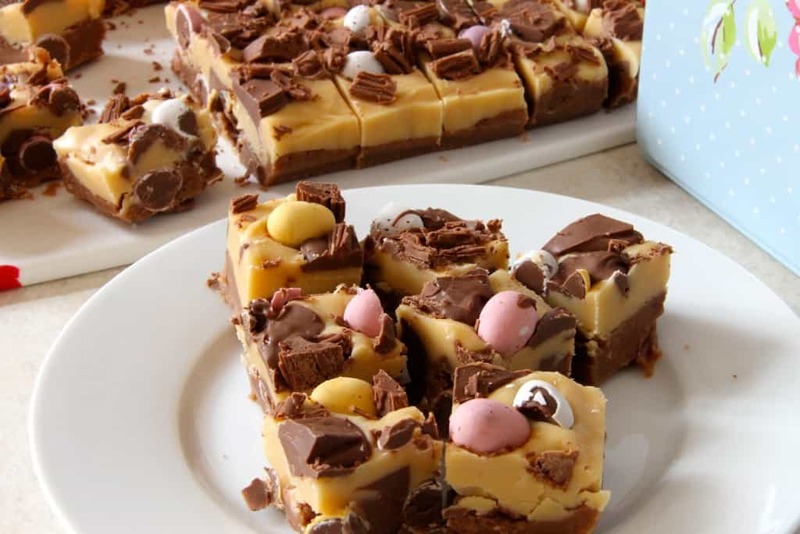 The texture is delicious crumbly in a good fudgey way – its also a nice mix of white chocolate, and milk chocolate fudge, with the sweets all delicious combined in the middle and on top! I thought that the obvious chocolate to use is Mini Eggs. 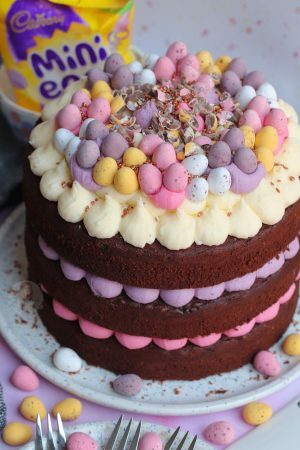 HOW CAN YOU NOT LIKE MINI EGGS?! And then I sort of hit a brick wall on what other sweets I could use, that aren’t eggs. So I just decided that I should pick some that are tasty, and often come in Easter Egg form – Cadburys Flake, and Terry’s Chocolate Orange. However, you could easily use whatever you fancy. 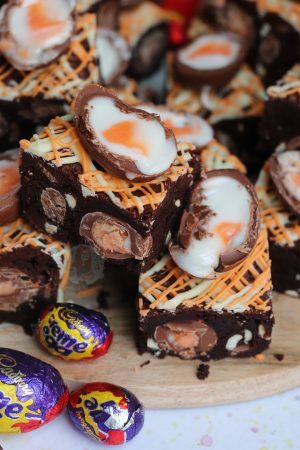 I’ve made this using Galaxy golden eggs, creme eggs, twirls, etc etc and I honestly just don’t get bored of making it. I know some chocolates aren’t for everyone, so its an ideal treat. However, it is a bit different because its not like my usual ‘cheats fudges’ but thats also why I love it. I really do think that this sort of fudge is worth it, if you want to go the whole hog. I honestly and whole heartedly recommend using a sugar thermometer for this because it almost guarantees a good fudge. I don’t personally like the way you can test it without using a thermometer because perceptions of whats soft and whats hard is different with everyone. I decided I would use Clotted Cream for this because it creates such a yummy taste, and it makes the fudge so moreish. Another amazing thing about this sort of fudge is that you don’t have to keep it in the fridge. It’s one of those types that you would buy in Cornwall, and they never keep them in the fridge! And lets be honest, how chocolatey and delicious does it look?! White Chocolate and Milk Chocolate Clotted Cream Fudges with all your Favourite Treats! Grease and line a 25cm/10inch tin. In two pans, one for the white chocolate fudge and one for the milk chocolate, pour the cream, sugar, syrup and vanilla – heat gently, stirring until all the sugar has dissolved. Bring to the boil and continue to boil until the temperature reaches 116 °C, test using a sugar thermometer. When the mixture is hot enough, remove from the heat and beat until the mixture for about 5 minutes for it to thicken a little! Near towards the end of the fudge mix thickening, pour in the 100g of whichever flavour chocolate chips and it will melt almost instantly and thicken the mix . Pour one of the fudge flavours into the tin, and sprinkle over half of the decorations. Carefully pour over the other fudge flavour and then sprinkle the rest of the decorations on – leave to set for a good few hours in a cool place such as on the side – or preferably overnight. Chop up the pieces into whatever size you like and enjoy! This will last up to two weeks in an airtight container! 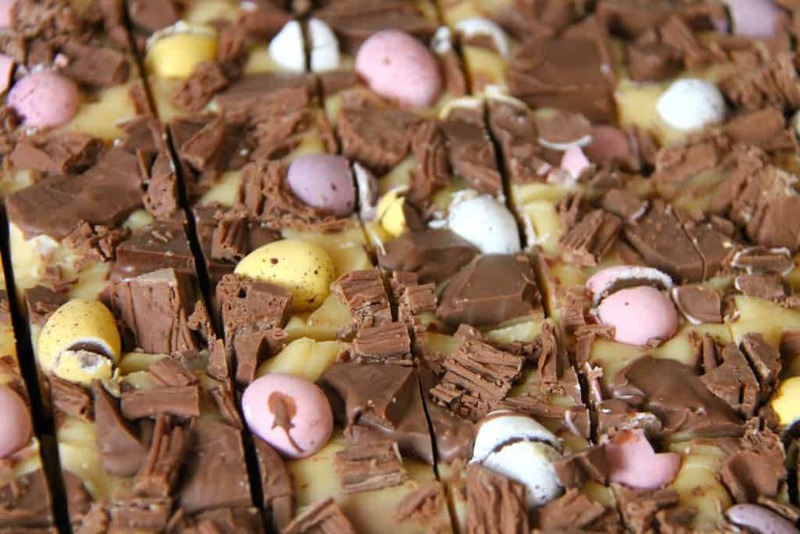 When pouring in the two different fudge flavours it can sometimes just pour in and melt the one below if it is still really hot, so try and spread the mixture whilst you’re pouring rather than in one spot so that it spreads evenly! You can of course use whatever chocolates in the decoration that you like – but these are my top 3 favourites! If you find that the fudge isn’t setting properly after a few hours then try storing it in the fridge to set, and it should harden up! A couple of people who have commented or who are on my Instagram have mentioned that they don’t have access to Clotted Cream because of being in another country for example – I believe that using normal Double Cream would work, or thick cream for example – as long as you beat it enough and it reaches the correct temperature it should work perfectly! 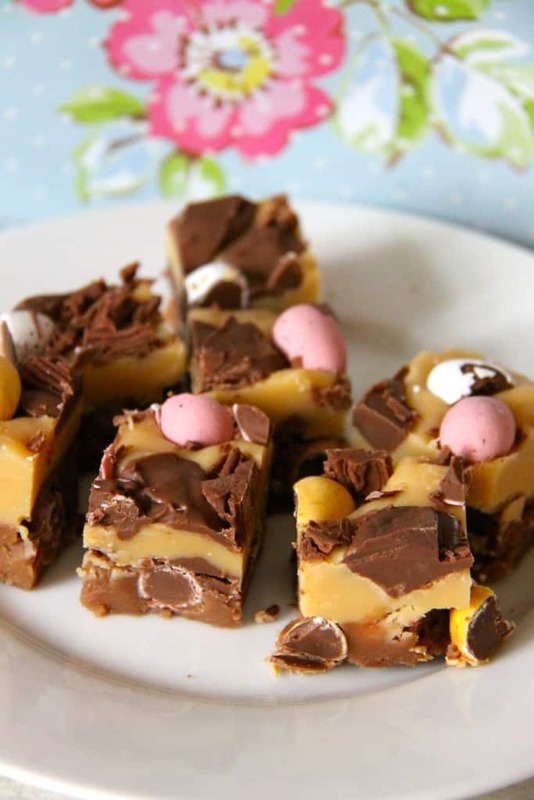 Find my other Fudge & Easter Recipes on my Recipes Page! Older Next post: Berry and Pistachio Cupcakes!! Newer Previous post: Easter Nest Cupcakes! Pingback: glitter me gold. #28on28 | country bumpkin. Thanks my recent ‘like’ on my blog on “Homemade cashew, cocoa and date Nakd bars”. 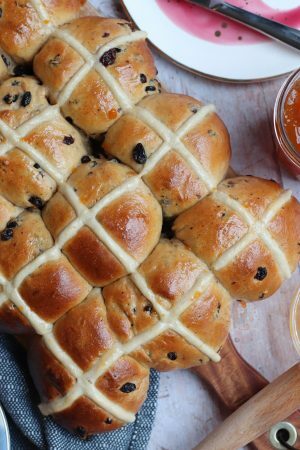 Your Easter recipe is fantastically brilliant. I’m literally speechless (my mouth is full of dark choccie Easter egg). Thats okay! It looked utterly delicious 🙂 I always struggle to find recipes for such a bake! And thank you hahaha I want to make more already but as you are too, I’m still eating easter eggs so I feel its a bit premature! 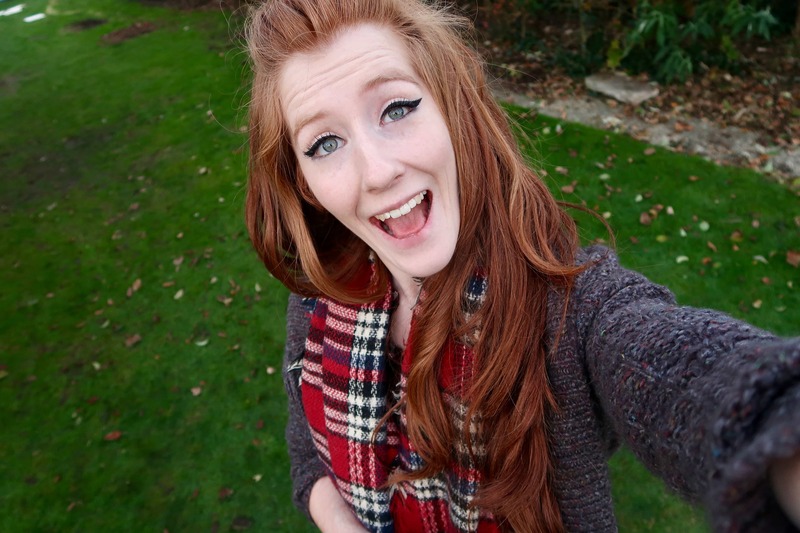 OMG, just look at this! 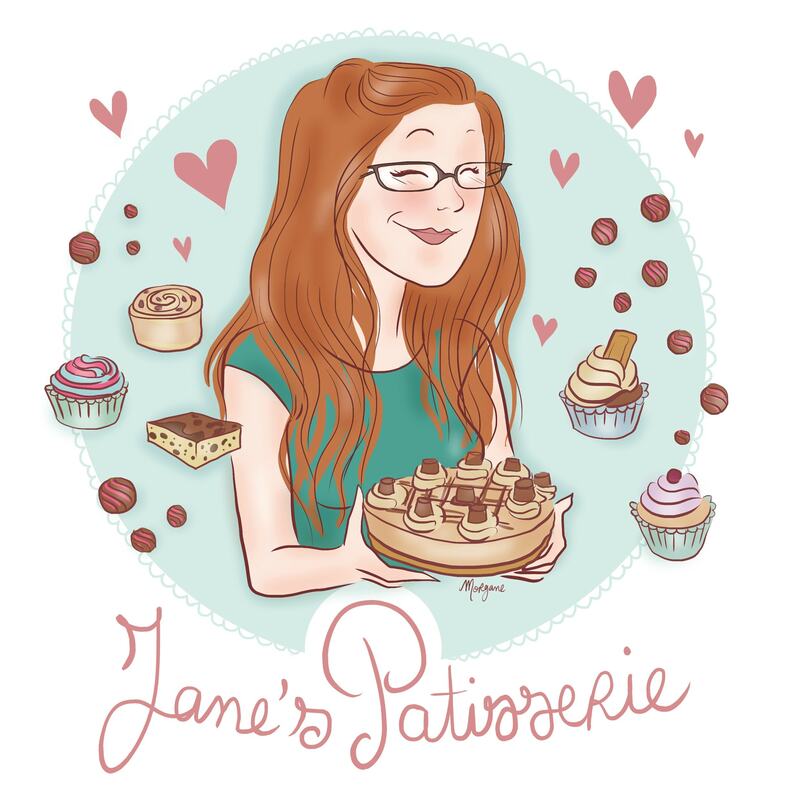 Another one of Jane’s fabulous recipes I definitely need to try! Awwh thank you so much again!!! Thank you!! Your blog looks good too! ?? omg…that looks amazing! Can’t wait to make it! Just a quick qn…when I have made fudge before it wasn’t really a pourable consistency, do you think I’m over mixing it or..? Thanx Jane….practice makes perfect! And the more I practice the more fudge I can eat ?